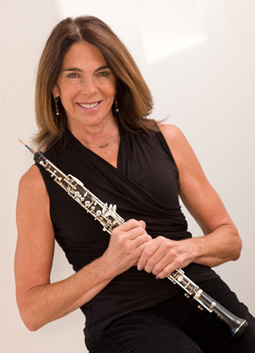 Pamela Epple, oboe, holds degrees from Interlochen Arts Academy in Art and The Juilliard School. She studied with the late Ronald Roseman and Elaine Douvas. She was a member of the American Composer’s Orchestra, P.D.Q. Bach, and the Paul Taylor Dance Co. Orchestra, among others. She was a founding member of the Aspen Woodwind Quintet, the chamber music group Tafelmusik, and toured with the Orpheus Chamber Orchestra. Festivals include Aspen, Monad- nock, Angel Fire, Ouray, Moab, and Yale-in-Norfolk. She has played English Horn with Musica da Camera, the Santa Fe Opera, Santa Fe Symphony, Desert Chorale, The New Mexico Symphony Orchestra; and Principal Oboe with the San Juan Symphony, The Santa Fe Pro Musica, and the Santa Fe Chamber Music Festival Outreach program. 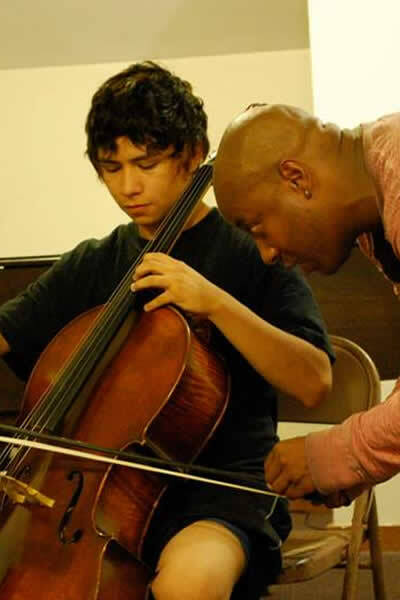 She is currently Artistic Director of The Serenata of Santa Fe.